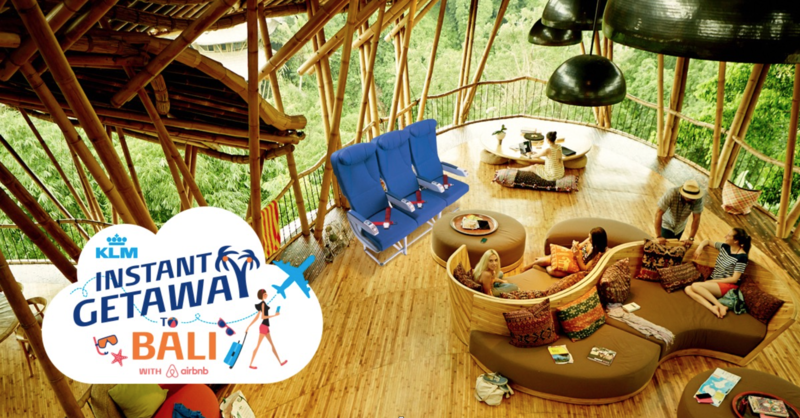 If you’re itching for a getaway this December, then pack up your bags and get ready to leave! 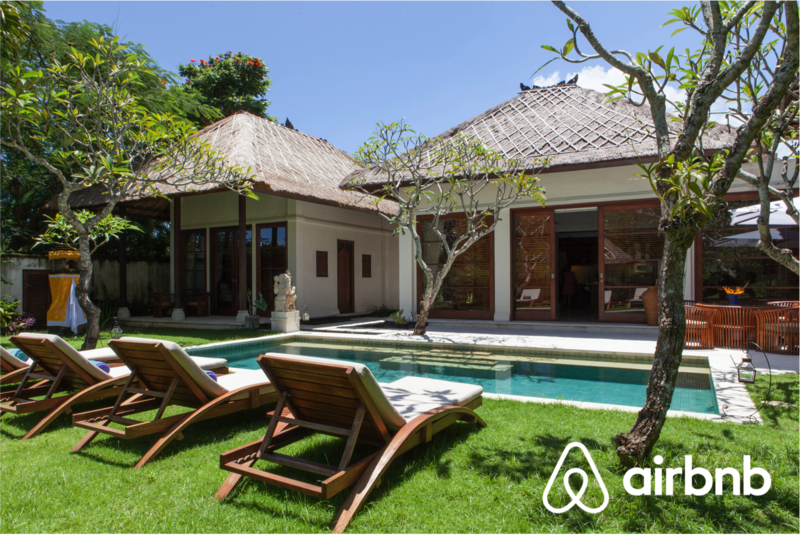 KLM is working with Airbnb to giveaway four tickets each to 10 lucky winners to fly from Singapore to Bali! 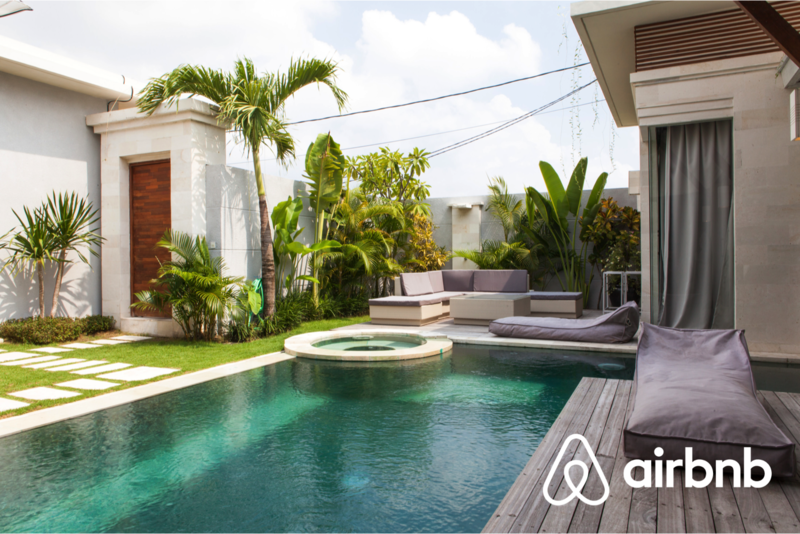 The winners and their companions will enjoy a 4D3N stay in a gorgeous Airbnb villa from 6th to 9th of December, complete with a private swimming pool. The catch? They have to be ready to leave right away. Talk about throwing caution to the wind. Participants will have to register their details, as well as their companions details from 4th to 5th of December on the ‘KLM Instant Getaway to Bali with Airbnb’s campaign website. The lucky draw will then take place on 6th of December at *SCAPE, where participants and their companions must turn up, fully packed and ready to go. Once the winners are announced, they will be whisked away on their trip immediately! So you’ll need to make sure that your passports, visas, luggages, and friends are all ready to go. The lucky winners will also receive the following goodies – a beach tote bag and luggage tag – compliments of KLM and Airbnb. This giveaway is in celebration of the 5th Anniversary of KLM’s Singapore-Denpasar route. If the trip sounds appealing to you, then it’s time to take the leap of faith! Sign up, pack your bags, and head off! Who knows, you might not have to come home afterwards.